The Honeymooners is a comedy based on the 1950s sitcom of the same name. It opened in June 2005 and was released on DVD in November. 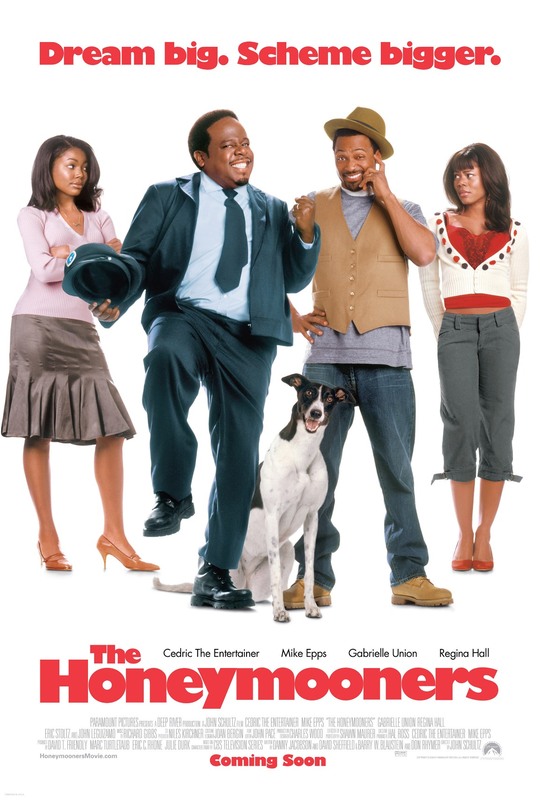 Cedric the Entertainer transforms Jackie Gleason’s classic blue-collar sitcom The Honeymooners into an urban comedy. New York City bus driver Ralph Kramden (Cedric, Barbershop) lives in volatile bliss with his wife Alice (Gabrielle Union, Bring It On). His best friend Ed Norton (Mike Epps, Next Friday) and his wife Trixie (Regina Hall, Scary Movie) live upstairs in a cramped, dingy apartment building. Ralph and Ed get into constant trouble due to their brainless get-rich-quick schemes, including buying a Pullman train car and trying to race an abandoned greyhound–schemes which only serve to lose the money they need to buy a charming duplex on a tree-lined street. 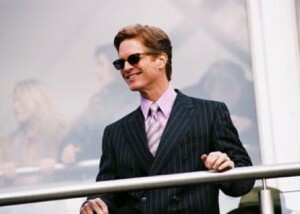 Unfortunately, there’s a sleazy real-estate agent (Eric Stoltz, Pulp Fiction) who’s wooing the little old lady who owns the property, so it’s a race to see if Ralph and Ed can raise the money before the bill of sale gets signed. It’s a shame that so many cliches had to die so that their hollow, lifeless corpses could be put on display in this formulaic excuse for a movie. Also featuring John Leguizamo (Moulin Rouge), who rattles off a string of one-liners that almost become funny through sheer velocity. 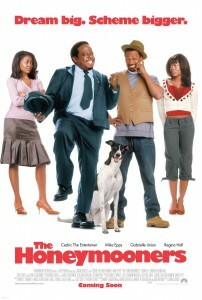 As extras the release offers a commentary track featuring director John Schultz as well as his stars Cedric and Mike Epps. It’s a fun track that offers up a wealth of information and anecdotes. Also included is a featurette called “Hanging With The Honeymooners” which is a promo featurette with cast and crew interviews discussing how the project came together, how the cast was selected and just how great everybody was.